This study is a descriptive piece of research attempting to compare and contrast the use of two types of cohesive devices (i.e., lexical cohesion and ellipsis) in the original dialogues of a television series with the Persian subtitled and dubbed versions of the same dialogues. The data used in the study comprises the dialogues of 10 scenes randomly selected by the researcher from the television series Prison Break as well as the dubbed and subtitled counterparts of the dialogues of the same scenes. The study seeks two objectives: First, it attempts to investigate the original dialogues of the film in terms of the frequency of the use of the two mentioned types of cohesive devices and to compare them with the dubbed and subtitled versions; second, it aims to compare the two types of audio-visual translations (i.e., dubbing and subtitling) to find out how they have dealt with these cohesive devices and what difference exist between these two types of translation in terms of their handling lexical cohesion and ellipsis. For this purpose, the study employs the model proposed by Halliday and Hasan (1976). Also, in order to determine the interrater reliability of the analyses, Chi Square test is conducted. The findings reveal that repetition has the greatest frequency of use among lexical cohesion elements and clausal ellipsis has the greatest frequency among ellipsis types in the original dialogues. The findings also demonstrate that the two translated versions are relatively similar in their handling lexical cohesion but the dubbed version contains a substantially greater number of cases of ellipsis than the subtitled version does. 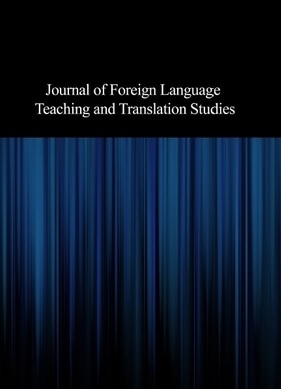 The findings of this paper could provide audiovisual translators with information as to how the cohesive elements are differently used in the English dialogues and their Persian translations (subtitled and dubbed dialogues).